PARCC testing will be held this year on March 15 and March 17. All students enrolled in Algebra I will test on Mach 15, and testing for ELA will be held on March 17. 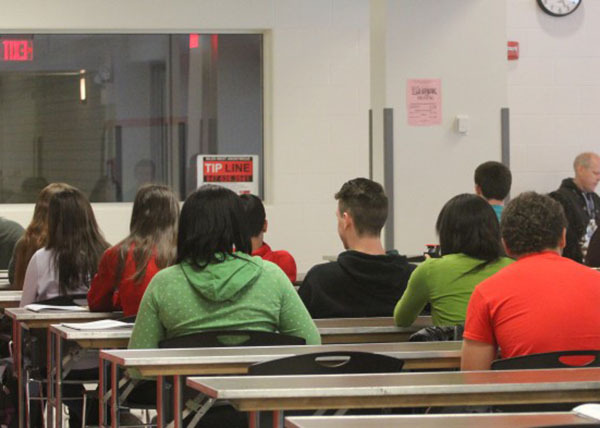 This year, Niles West is making the switch this year from paper to online testing. “Students will be broken into different rooms throughout the school for a better testing environment and so the bandwidth isn’t overwhelmed by having too many students logged on in one area. Many districts went online last year, as that was how PARCC was intended to be given. However, our district requested paper and pencil testing from the state and it was granted. From now on, PARCC will be computer-based,” said assistant principal Mark Rigby. Students aren’t pleased about the change from paper to computer testing. “I’ve done it before during middle school. I don’t like how it’s on the computer because it’s hard to adjust since I’m so used to [taking] the ISATs on paper,” said freshman Ashley Dyer. Some students are also worried it will negatively impact their performance. “I heard it’s taking place in March. We have taken it before so I know the format of the test. I don’t like how it specifies on certain subjects just because we are taking those courses. I would rather take longer reading and math than have to do science too. I don’t mind written tests as long as they’re reasonable lengths. Computer tests make me so tired when staring at the screen for too long and that could affect my test scores,” said freshman Samantha Galanapolous.